Earn $20.79 in Rewards credit (2079 points) What's This? 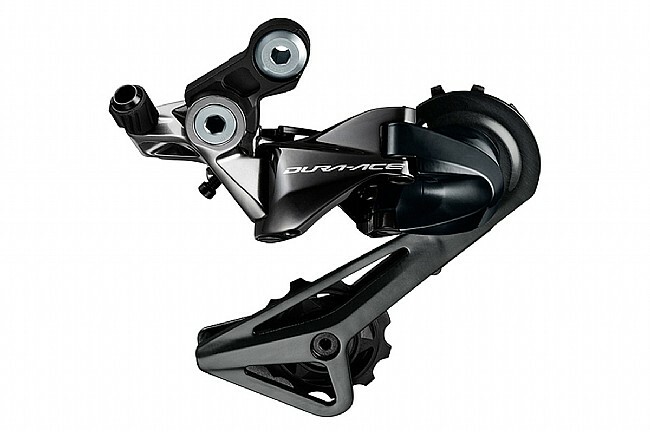 Shimano's RD-R9100 Dura Ace Rear Derailleur incorporates the Shadow design that made its debut on their mountain bike drivetrains. This low-profile construction better tucks the derailleur body beneath the cassette for more stable shifts, quicker wheel changes, and less exposure to possible damage in a crash. It also keeps a consistent distance between the upper pulley and the cogs across the entire gear range for more precise and reliable shifts on wide range cassettes. Compatible with Shimano 11-speed road drivetrains.